Obituary for Mary E. (Murphy) Kaltner | Varnum Funeral Home, Inc.
Ware - Mary E. Kaltner, 83, of Ware died on Saturday, August 18, 2018 at home surrounded by her loving family. 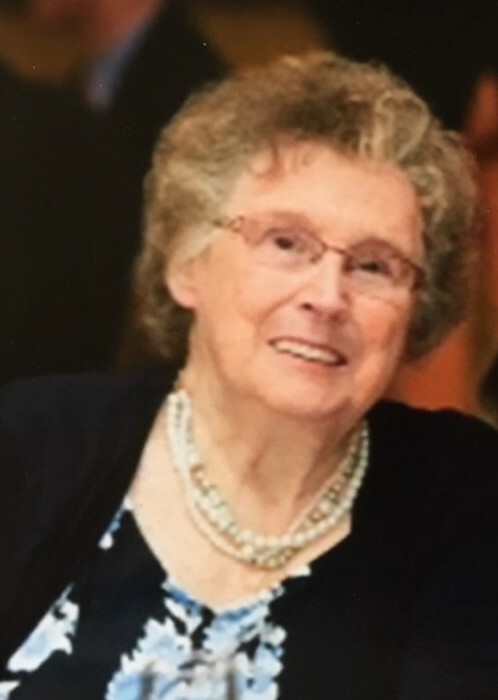 She leaves behind those she cherished most, two sons, Patrick Kaltner and his wife Lori of Athol and Jack Kaltner of Briarcliff, NY; two daughters, Faye Vollinger of Orange and Beth Doffek of Wethersfield, CT; 12 grandchildren; Monica, Nicholas and Sam Doffek and their father Bob. Jillian, Jaime, Jordana and Summer Kaltner and their mother Jodi. Tory Kaltner, Kristin Pilorge and Corey Smith. Casey and Matt Vollinger. Two great-grandchildren, Bryce Vollinger and Juliana Herbert; her brother, Bill Murphy; her sister, Anne Horning; and many nieces and nephews. Mary was predeceased by her companion of 25 years, Alex Karpinski; her daughters, Katherine and Sheila Kaltner; her granddaughter, Ashlie; three brothers, Robert, James and Richard Murphy; and her sister, Helen Turck. She was born in Yorktown Heights, NY, daughter of the late Clarence F. and Helen (Crone) Murphy. Mary earned her Masters Degree in Education from the University of Maine and her Bachelors Degree from SUNY Cobleskill. She dedicated 28 years as an educator; 18 years in pre-school education with Kiddie Kare in Turners Falls and 10 years in elementary and high school education with the school system in Bath, Maine. Mary later became the Director of the Ware Council on Aging for 20 years before retiring in 2009. She was a member of the All Saint's Church and was very active throughout the town of Ware. A Funeral Mass for Mary will be held on Thursday, August 23 at 12:00PM in the All Saint's Church, 17 North Street, Ware. Calling hours will be held prior to the Mass from 9:30 to 11:30AM in Charbonneau Funeral Home, 30 Pleasant Street, Ware. Burial will be held privately in St. Mary’s Cemetery, Montague. In lieu of flowers, memorial donations may be made in Mary’s name to the Cystic Fibrosis Foundation, Massachusetts/Rhode Island Chapter, 220 North Main Street, Suite 104, Natick, MA 01760.